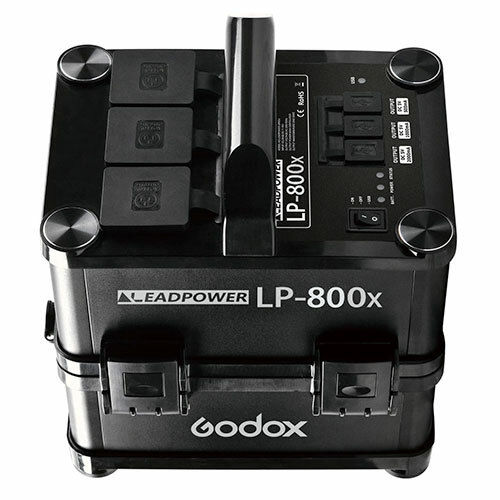 The Godox LP-800X Lithium Ion Power Inverter works with multiple bi-voltage monolights/flash units and is capable of over 1200x 300w/s flashes from full power, without impeding recycle time*. Weighing in at 6.2 kilos this is an extremely portable unit. 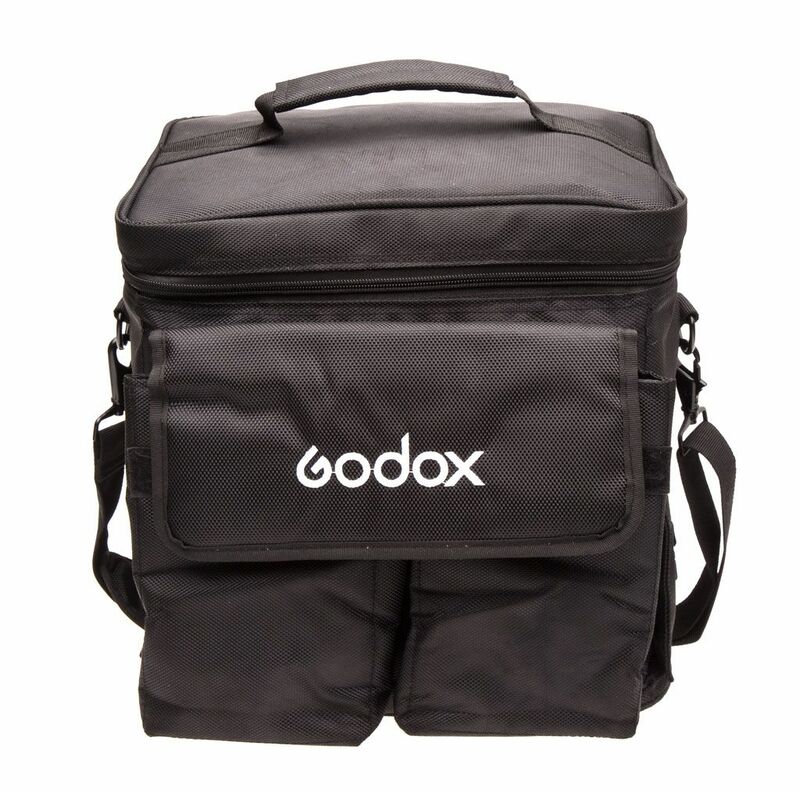 All units come with a carrying case for ease and comfort when transporting. This is an extremely affordable battery pack compared with other similar power-rating batteries, and can also be used to run a laptop and recharge a mobile telephone. The “Flash” (flash mode) is specially designed for use with flash heads. It is also applicable to electrical appliances with rated power. However, in this mode, power saving function is not available so the the built-in battery can only stand by for between 13 and 20 hours. In “Normal” (non-flash mode), the use of flashes is not available. In this mode, power saving function is available so that the built-in battery can stand by for up to 100 hours. The three AC output sockets are in parallel connection, and each is able output the maximum power. The socket is universal and applicable in all countries and regions. No adapter is required. * Recycle time does not change if the flash recycles within 1 second and does not exceed 800W/S. However, if the load exceeds 800W/S, the recycling becomes longer but does not exceed 5s. Recycle time does not change if the flash recycles within 2-3 seconds and does not exceed 2400W/S. However, if load exceeds 2400W/S, the recycling becomes longer but does not exceed 5s. Recycle time does not change if the flash recycles in 3 seconds and does not exceed 3000W/S. However, if load exceeds 3000W/S, the recycling becomes longer but does not exceed 5s.